Back in January we reported a new patent case filed by White Knuckle IP against Electronic Arts over updating sports video games based on real-life events during a season. The asserted patent was U.S. Pat. No. 8,529,350. That case was actually terminated and refiled as Utah District case no. 1-15-cv-00036 in February. From our earlier report, the patent discusses how prior art games were fixed as of the day they were released. A real-life player’s outstanding performance or a major trade taking place during the season would not be reflected until the next version of the game was released. The system described in the ‘350 patent purports to solve this problem by downloading updates to game attributes that are based on real-life changes in players, teams, and venues. EA filed an inter partes review (IPR) request yesterday with the USPTO to invalidate the patent (IPR2015-01595). EA argues that the ‘350 patent should be limited to updates applied to stadium or field parameters based on arguments made by the patentee during prosecution. Moreover, EA argues that their own earlier games teach all the features claimed in the ‘350 patent. EA points to the 2001 iteration of their popular FIFA soccer games and the 2000 version of their Madden football games as teaching the updating features claimed in the ‘350 patent. Of note is that one of the references cited by EA is a Madden 2000 Updates Website which included a “Playoff Week 1 Update” file. At this time, the IPR has only been filed with the USPTO. The Patent Trials and Appeals Board (PTAB) will consider whether to institute the IPR based on EA’s arguments. If the PTAB institutes the IPR, EA and White Knuckle will fight it out at the USPTO rather than (or in addition to) the federal courthouse in Utah. The full IPR petition can be found at https://ptabtrials.uspto.gov/. White Knuckle IP, LLC v. Electronic Arts, Inc. In a new case, plaintiff White Knuckle IP accuses Electronic Arts of infringing U.S. Pat. No. 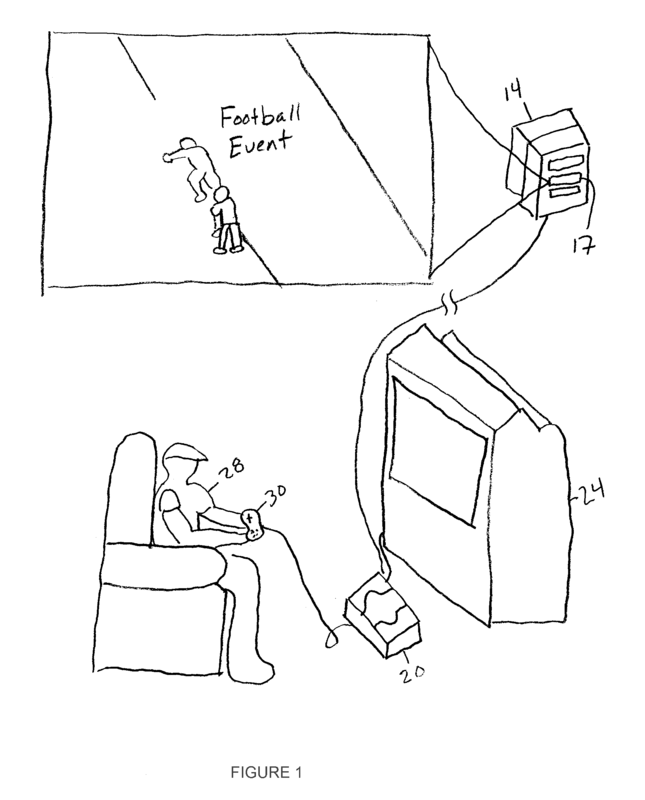 8,529,350 entitled “Method and System for Increased Realism in Video Games.” The ‘350 patent, dating back to October 2002, describes a method for updating sports video games based on real-life events during a season. According to the disclosure, prior art games were fixed as of the day they were released, and a player’s outstanding performance or a major trade during the season would not be reflected until the next version of the game was released. The system described in the ‘350 patent solves this problem by downloading updates to game attributes that are based on real-life changes in players, teams, and venues. The ‘350 patent is a divisional application related to U.S. Pat. No. 8,540,575 (not raised in this suit). The ‘575 patent’s claims are directed to updating a real-life player’s statistics and attributes based on his performance during a real-life season. The claims of the ‘350 patent in this suit are directed to updating the appearance and attributes of the virtual venues, stadiums, and arenas based on changes to their real-life counterparts. One example in the ‘350 patent is updating the appearance of Wrigley Field based on the growth of the ivy in the outfield. The accused products include EA’s NCAA Football 10-14 and Tiger Woods PGA Tour 10-14. Based on our experience with NCAA Football, the accused features might include stadium updates based on the real-life bowl game schedules. However, White Knuckle did not identify any specific feature in its complaint. 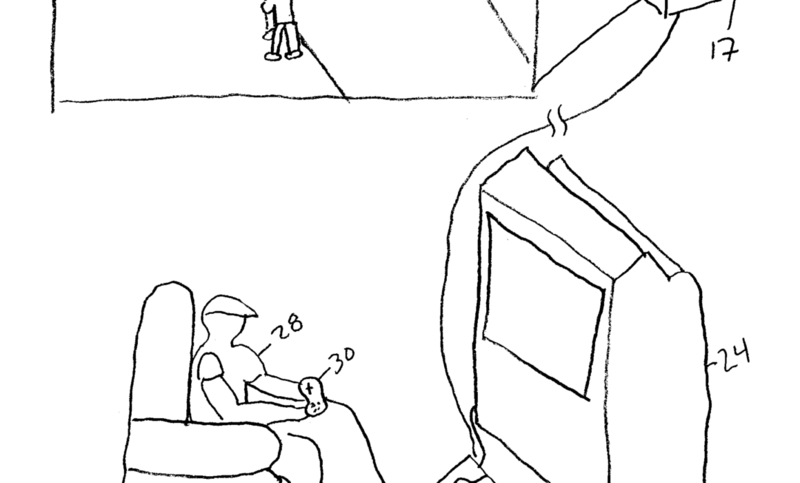 The problem addressed in the ‘350 patent seems to stem from the generally offline nature of consoles circa 2002. As a result, console games were rarely updated as there was no good way to supply the update. However, PC games have been receiving updates in the form of balance patches and bug fixes since well before 2002. One issue in this case may be whether it would have been obvious to include updates based on real-life changes in a patch for a sports game on PC, and whether that would fall within the scope of the claims and potentially render the claims invalid. We’ll continue to watch this case for any interesting developments.